I have heard so many times women complaining about their value. They say they are not enough, they don’t have enough, and in some cases actually speak the words I am of no value. This breaks my heart, yes I have been there too. However, when we dig into what the bible has to say about us, we will find we are being deceived by the enemy and the world on a daily basis. Before we existed God knew us, He knew who we would be, what we would do and more! In life we define things of value based on who or where they are made. So why then do we not base our value on the same thing for ourselves? If we are made by God, created by God…then would we not be of great value? I do not believe God makes mistakes, do you? How precious are your thoughts about me,O God. My dear friend, you are of great value because you are the daughter of the King of Kings, Lord of Lords, of our loving Father in heaven! It is time that we as women of God grab onto and own the truth that God has given us about who we are in Christ Jesus! We need to stop allowing the world, media and the crazy monkey chatter in our heads to tell us anything else. You have been fearfully and wonderfully created in the image of Christ! Are you ready to change that conversation in your mind to embrace who God has made you to be? 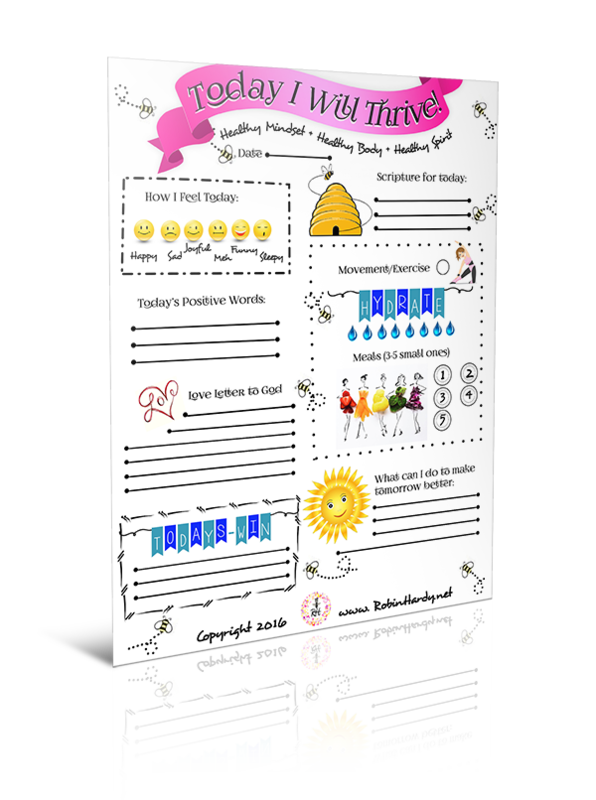 Are you ready to Thrive as a woman of God? 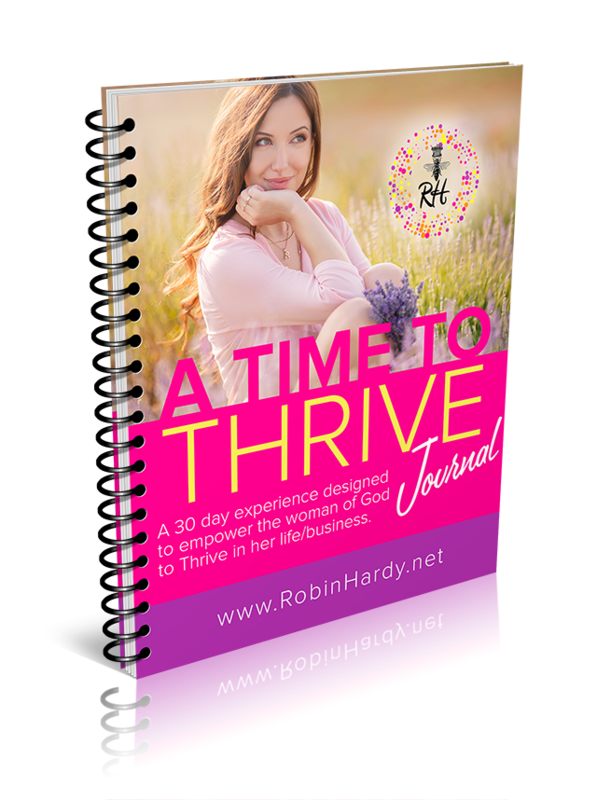 Grab your copy (digital or spiral bound) of “Time to Thrive 30 Day Journal” and start the processing of changing the conversation in your heart and mind today! 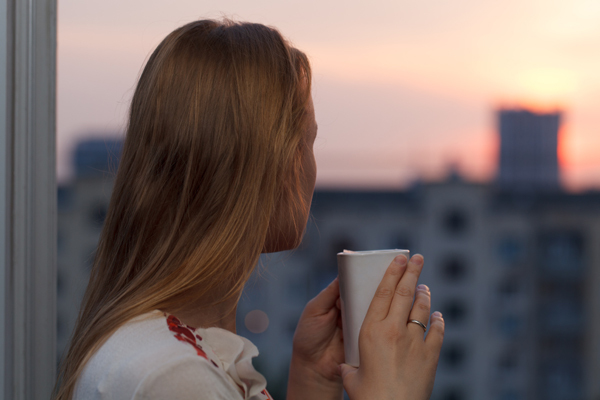 Do you know as women of God we are called to be Bold, Brave and we are Beautiful? I am Bold, Brave and Beautiful! How did you feel when you said it out loud? We are told this is who we are to be throughout the Bible. On being bold God says it at least 26 x’s and on being brave He tells us at least 37 x’s. If God says it we need to believe it and own it as His daughter! So many times we are told by the world the total opposite of all three. Through Jesus Christ we have the confidence to be bold in Him. We let the world tell us otherwise and allow the world to quench that confidence and boldness in Jesus. It is time as women of God to take that back and be bold! We are told to be in this world not of this world, therefore why would we listen to the view of who we are from the world’s perspective instead of the voice of God? Time to step in boldness and own who you are in Jesus Christ! As women of God we need to be gently reminded we fight our battles through Christ not on our own. Sometimes we forget this and we begin to back away from what the Lord has called you to do. We know when God calls us into action it may not be the norm or popular, however IF God has called you to move, MOVE! He has you covered in this journey. You see we cannot let those around us decide if we should move when God calls you to move, you have to seek Him and go. The enemy will plant folks in your path to discourage and even attack, you then grab onto Jesus and GO! LORD your God, He is the One who goes with you. My dear friend, you are beautiful in Christ. You were created in Him image! Fearfully and wonderfully made! God does not make mistakes! The difference is in this world they judge an outer appearance that has been altered or airbrushed to appear beautiful. Isn’t that the way of the world “to appear to be something,” yet in reality they are no different than you or I…except in their heart! physical stature, because I have refused him. You see we are beautiful in Christ Jesus girls! Don’t let anyone tell you otherwise! So are you ready to go out and be Bold, Brave and Beautiful?